Liz Cowle documented her dream of running across America on Candy Chang’s ‘Before I Die’ board at the Ogden Museum of Southern Art. Liz Cowle doesn’t do things by halves. Most people aspire to run marathons. 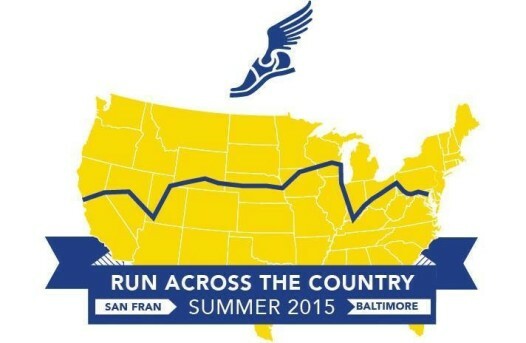 Liz is planning to run across the entire continent. On Sunday, the recent Tulane grad (a master’s degree in accounting) will join 27 other young runners in a 49-day odyssey that will take them – by foot – more than 4,000 miles from San Francisco to Baltimore. And all of these 18- to 26-year-olds have one important thing in common besides their avocation for running. The Ulman Cancer Fund for Young Adults sponsors four bike rides and two runs each summer from coast to coast, to promote cancer awareness. Liz is participating in one of them, a cross-country team run now in its third year. 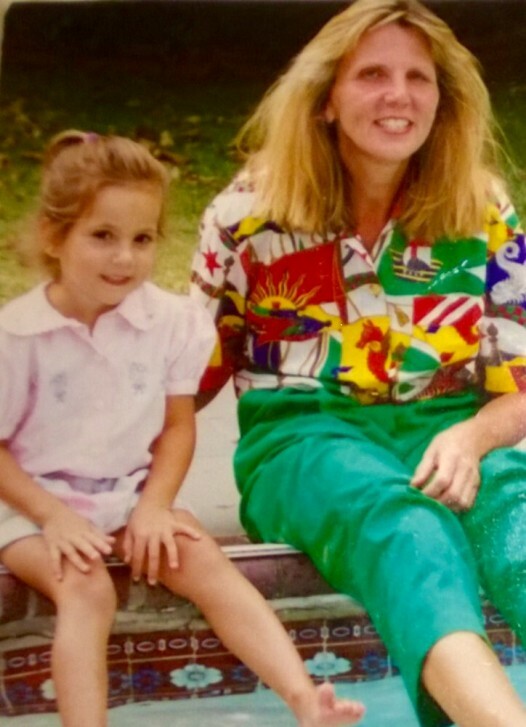 For Liz, the connection to cancer has been lifelong: Her mother, Denise, was diagnosed with breast cancer three weeks before her birth in 1992. But Denise left legacies for her children. The boxes also contain a VHS tape of Denise, talking to each daughter about how much she loves her, and what she wishes for each of them. 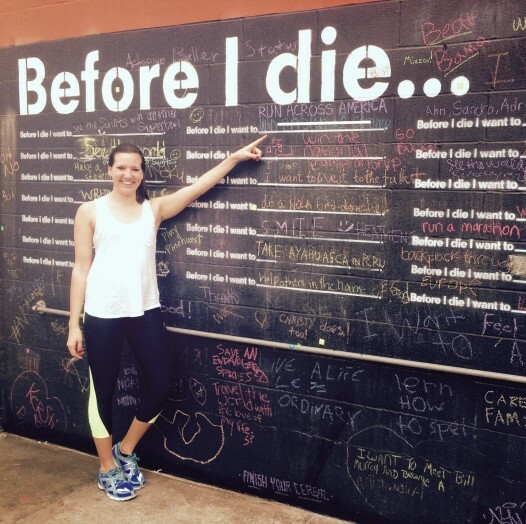 Liz has been preparing for her cross-country run ever since being accepted into the Ulman program last fall. Part of the commitment includes an agreement to raise $4,500 – 11 cents of each dollar goes to the costs of the run, and 89 cents to the Ulman Cancer Fund, which supports young adult victims of cancer with everything from medical costs and transportation to post-life planning and fertility preservation. By Christmas, Liz had raised almost $6,000 for the cause, and upped her goal to $10,000. To date, she has raised almost $16,000 for the Ulman Cancer Fund and her run, and re-upped her goal to $20,000. Runners take turns pounding the pavement; two people at a time exit the van and run a 3- to 5-mile segment before being replaced by two more runners. The rotation continues, with each participant running 8 to 15 miles each day. Every fifth day is a service day, with visits to cancer wards or ceremonies awarding college scholarships. Runners also take turns driving the two team vans, following a prescribed GPS route. Host families and institutions along the way provide accommodations. Each runner has a mentor from a previous year to answer questions. The first thing Liz asked about: blisters. Each runner is given two pairs of shoes, but Liz thinks she’ll probably go through at least five. She’s been training since January, and now runs 5 miles a day, also doing Birkram yoga for injury control and working out at the JCC to increase upper-body strength. Denise Cowle died in 1996 from breast cancer. Each runner dedicates each day’s run to someone with a connection to cancer. Liz will be running on the anniversary of her mother’s death, and will dedicate that day and the last day of the run to Denise. She has other names, too, but welcomes additional people to whom to dedicate her effort. See the information at the bottom of the story if you’d like to submit someone. 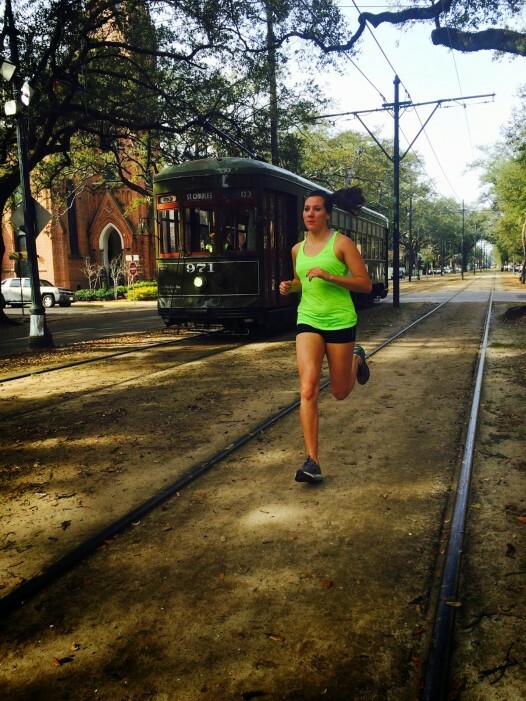 NolaVie will check in with Liz as she runs across America. She will be on the lookout for variants on gumbo, alternative cultures and landmarks that resonate. But most of all, she will be remembering – and honoring — her mom. Liz Cowle is running across America to raise awareness of cancer in young adults. Read her Run, Liz, Run blog here. Each day, she dedicates her run to someone affected by cancer. If you have a name you would like her to consider for dedication, click here, or email her at cowle.elizabeth@gmail.com. Liz will be posting at NolaVie during her run, which takes place from June 14 to Aug. 1, from San Francisco to Baltimore.